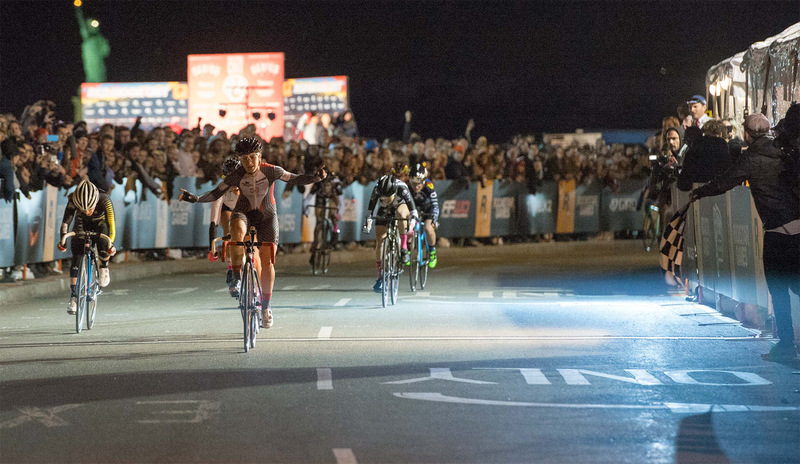 Recently the Red Hook Crit came to Brooklyn, kicking off the bike season in an exciting way. A crit (or criterium) is a bike race where urban cyclists and messengers can compete against pros while racing on fixed gear bikes that have no brakes in a closed course. It’s an exhilarating show of street cycling skills, fitness, and endurance that makes crowds and participants alike giddy with bike-citement. This year’s Red Hook Crit was on a warm, clear night and showcased impressive female and male cyclists from around the world. The 24 lady riders biked intensely for 18 laps (approximately 14 miles) while the 50 male cyclists gave it their all for 24 laps (almost 19 miles). Just like any sporting event, the energy was addictive and full of spectators cheering, jeering, and chanting. Whether you’re a beginning cyclist, seasoned pro, or haven’t ridden a bike in years, a bike race is an exciting event to take advantage of seeing. Here are five of the many that take place in state parks across the country. 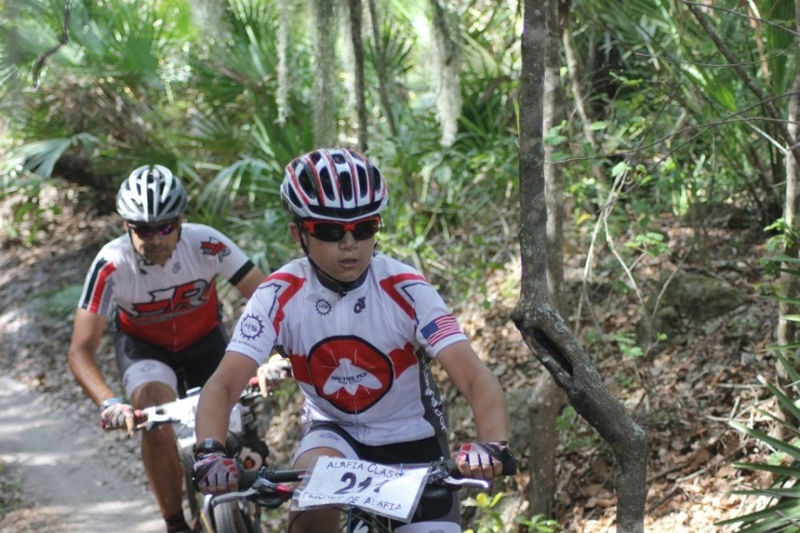 Located in Florida’s Alafia River State Park, the Alafia Class Off-Road Mountain Bike Race is a grueling yet entertaining six-hour race. It accommodates both beginners and those trying to beat a personal record with “serious” (Red Trail) and “fun” (Corporate Course) racing categories. Teams of up to three people can join, or riders can take on the challenge by themselves. The race recently passed on April 12th, but that means you have plenty of time to prepare for next year’s event. Okay, so this isn’t just a bike race, but that makes it even cooler. 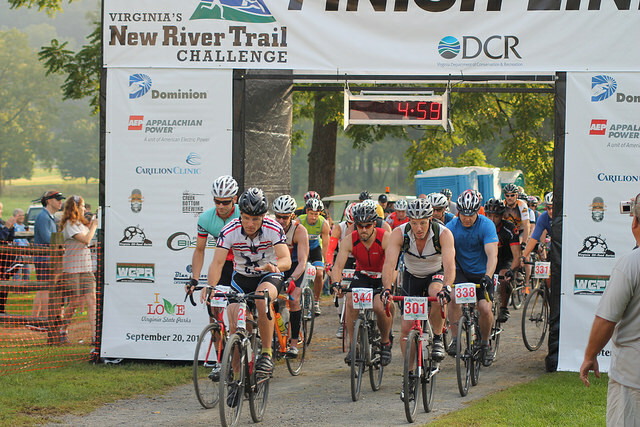 The New River Trail Challenge Triathlon in Virginia is a 40-mile bike ride that becomes a 12-mile kayak race and ends with a half marathon. This ultimate test of endurance takes place in the New River Trail State Park and welcomes participants of all levels by offering different age brackets and categories for competitors to choose from. Bring your tent and camp out the weekend of September 19th for this thrilling event! 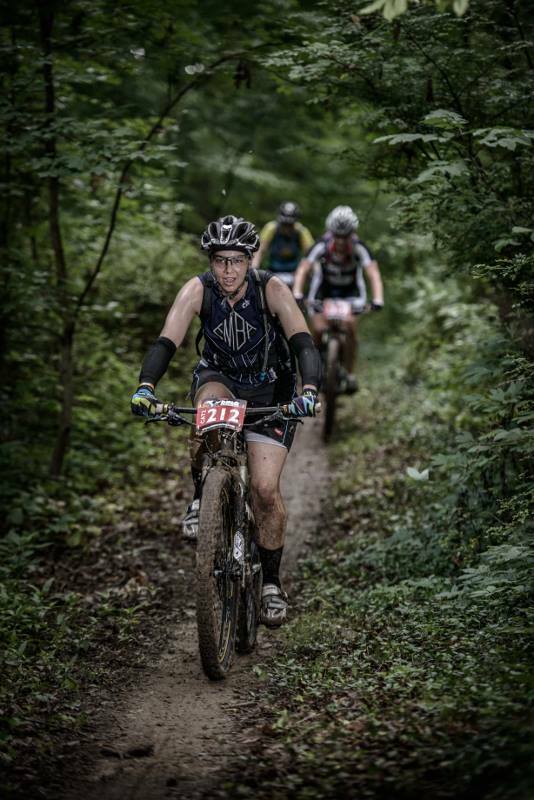 The Dinoseries in Indiana’s Versailles State Park is one of the most invigorating mountain bikeraces around. The bike trails are built by cyclists with fellow cyclists in mind and offer phenomenal views, challenging climbs, and gratifying downhills. The entire lap length is about ten miles long and the race takes place on July 19th. Delaware’s Bellevue State Park offers Bring it on at Bellevue where competitors are sure to get more than a little dirty. 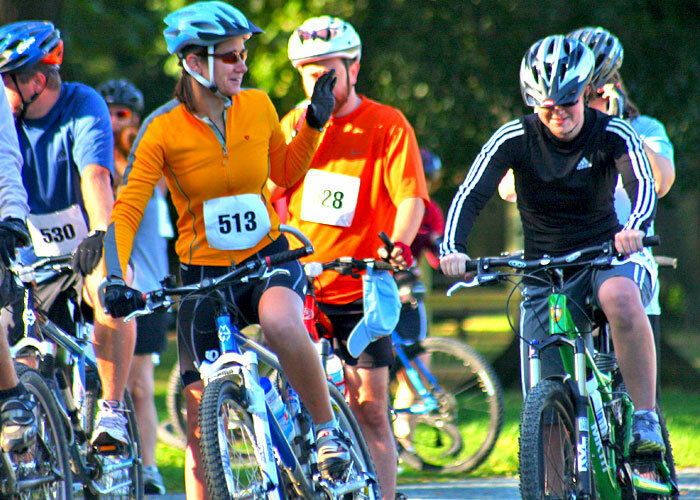 It’s a bike and running race on paved and unpaved trails featuring team challenges, crawls, water activities, and so much more. The 2014 race was cancelled, but stay tuned on their website for news of an upcoming event. 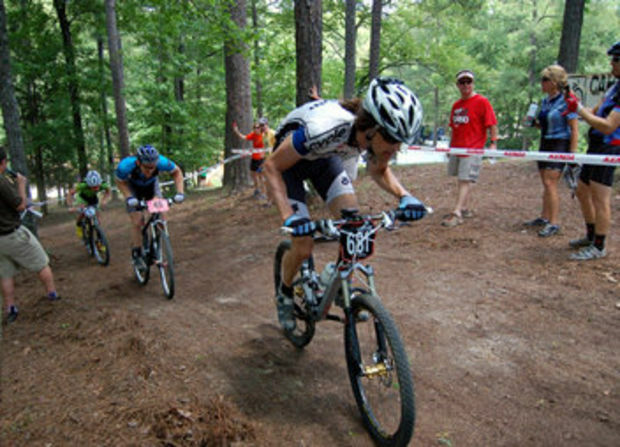 One of the top mountain biking races in the country, Alabama’s Bump N Grind is a multi-day race with a whole slew of different areas of expertise to enjoy. Air downhill, cross-country, short track, and more races are available to sign up for. The competition is coming up on May 30th-May 31st at the beautiful Oak Mountain State Park.